A month and a half ago, you’d be forgiven for laughing at the suggestion that Manchester United could make the top four this season. But after sacking Jose Mourinho and bringing in former player Ole Gunnar Solskjær, the United faithful have seen an upturn in form which sees them now just three points below fourth place Chelsea. After the Red Devils’ 3-1 loss away to Liverpool on the 16th December, Mourinho was sacked with the club lying in sixth place, eight points below fifth place Arsenal and a distant eleven points below fourth place Chelsea. Since taking over from Mourinho, United legend Solskjær has guided the club to six league wins on the bounce as they look to recover their season in sensational style, but just how far can they go? It would take a miracle for United to overtake Liverpool at the top of the table and the current favourites, according to Paddy Power, to win the Premier League this season have been in sensational form, winning 19 of their 23 games so far. United though are the only team at the moment who have won all of their last five matches and with matches against City and Liverpool still to play, they could be the king makers this season. However, while the title may be out of reach, there is still the very real chance of United finishing in the top four and it is all down to Solskjær getting the best out of the players he has at his disposal. Although the argument could be made that the Red Devils’ only tough opponent since the Norwegian took over has been Tottenham, the fact that the players look motivated and are producing good results will at least lift the mood of the fans. 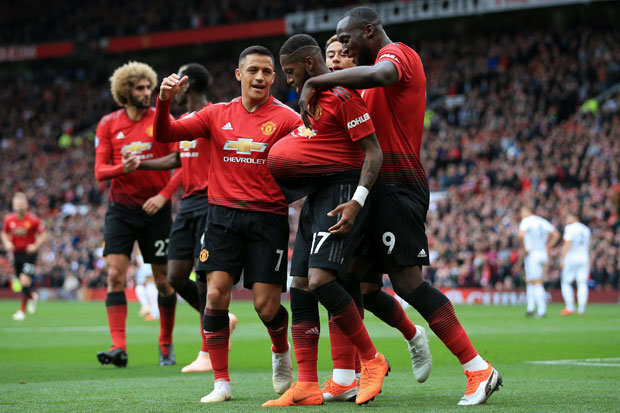 After United defeated Championship club Reading 2-0 in the third round of the FA Cup, they were drawn away against former title rivals Arsenal in what is sure to be a closely fought match between the two. The draw provides Solskjær with another opportunity to prove that he has the managerial capabilities to mix it with the best in the league. If the team builds enough confidence, then this United side will be one to be feared in the later rounds. This represents their best hope of a trophy this season. Ole Gunnar Solskjær is very familiar with the Champions League, having scored the stoppage time winner in the famous 1999 final against Bayern Munich. Solskjær played a massive role in helping the Red Devils win the history-making treble that season and will be eager to continue his positive exploits in Europe’s premier competition. When the draw was announced on the 17th December, United fans were fearing the worst after they were draw against Paris Saint-Germain while Mourinho was still in charge. That fear has turned to optimism since the grey clouds that hung over the Portuguese’s tenure have begun to clear. Paul Pogba, Anthony Martial and Romelu Lukaku have looked like different players under the guidance of Solskjær, who himself has shown a much improved performance as a Premier League manager after previously managing Cardiff City from January to September 2014, in which he oversaw their relegation from the Premier League. With a much stronger squad at his disposal than the one he had at Cardiff, he is able to instil the style of football that he loves and that is ingrained in the DNA of Manchester United. Although he is only caretaker manager until the end of the season, after so many big name managers have failed to deliver the goods, perhaps it’s worth United taking a punt on one of their own?